Plenty of pastabilities - even for those who are gluten free. From savory ramen to classic spaghetti, pasta is a staple dish that holds a place in the hearts of many. You’ve probably always thought that pastas are made with the classic egg and flour base. However, in reality there are plenty of pastas lacking in flour (and hence, are gluten free). Try out these flourless pastas next time you’re craving those well-loved carbohydrates. These gelatinous Japanese noodles are made from the konjac yam plant (aka elephant yam). They’re not only low-carb, but also practically calorie-free because they are made of glucomannan starch, an indigestible dietary fiber that contains zero carbohydrates. 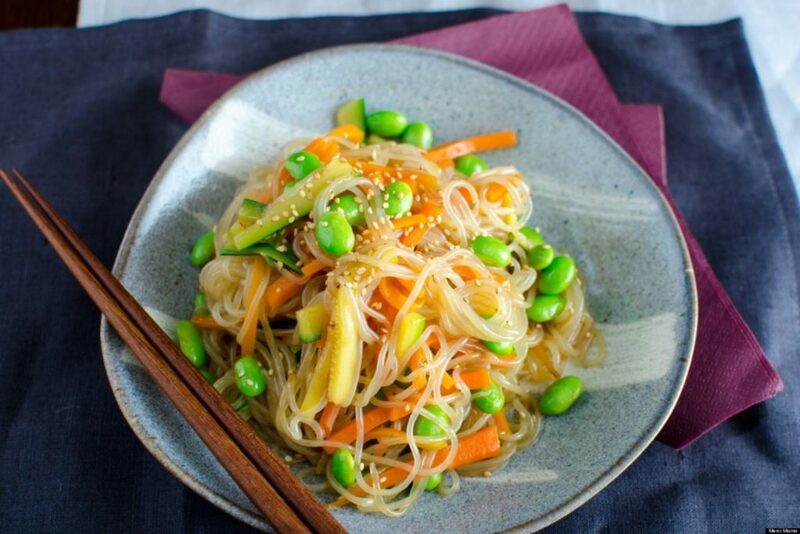 Practically flavorless but very absorbent, shirataki noodles are versatile to use in cooking. Try this easy sukiyaki recipe. Maybe you thought this was just plain spaghetti? Nope! Trade in processed carbohydrates for a serving of vegetables with the spaghetti squash. 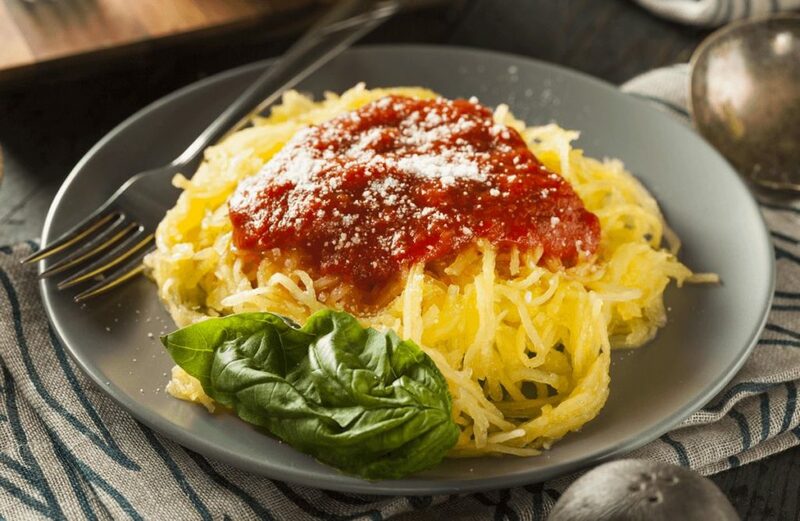 The flesh of the spaghetti squash easily shreds into noodle-like fibers when cooked and is actually a great alternative for – take a guess – spaghetti marinara. Simply bake your squash at 375°F for 45 minutes, use a fork to separate noodle strands and top with your favorite tomato sauce for an easy, healthy meal. Could cricket pasta become the next big thing? Bugsolutely brand cricket pasta is made of 20% ground crickets and 80% flour, making these noodles high in protein (12g per serving!) and a sustainable and environment-friendly food choice. Apparently, the pasta is supposed to possess a slightly nutty flavor. Eager to try it out? You can buy it here. 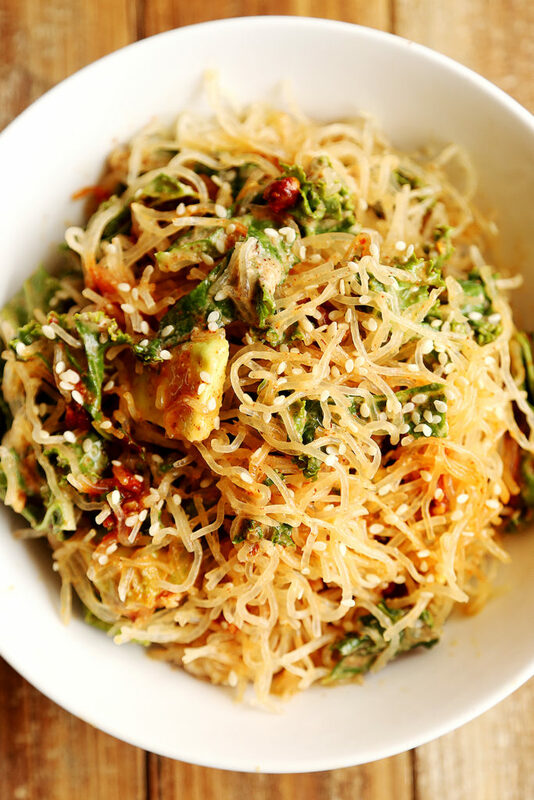 Kelp noodles are a raw, gluten-free, low-calorie and low-carbohydrate pasta alternative. Made only out of kelp and water, they are slightly crunchy and are great in everything from noodle salads to soups. Mix it up with this Korean beef & vegetable noodle bowl made with kelp noodles or try these kelp noodles with kale & garlic almond miso dressing. You can’t talk about alternative pastas without bringing up the latest food trend: zoodles, or zucchini noodles. Invest in a spiralizer so you can spiralize your way to vegetable noodle heaven. 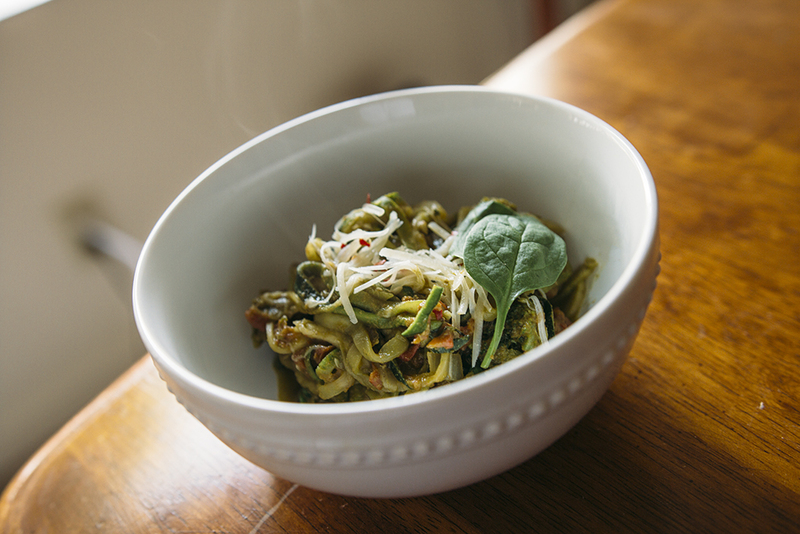 Try this zoodle pesto pasta recipe. #SpoonTip: Use your spiralizer to make sweet potato “swoodles” or even cucumber noodles (great for salads). The possibilities are endless. Cellophane or glass noodles are thankfully made from neither plastic nor glass. Rather, they are made of mung beans, yams or potato starch. They’re gluten free and have a somewhat slick texture. 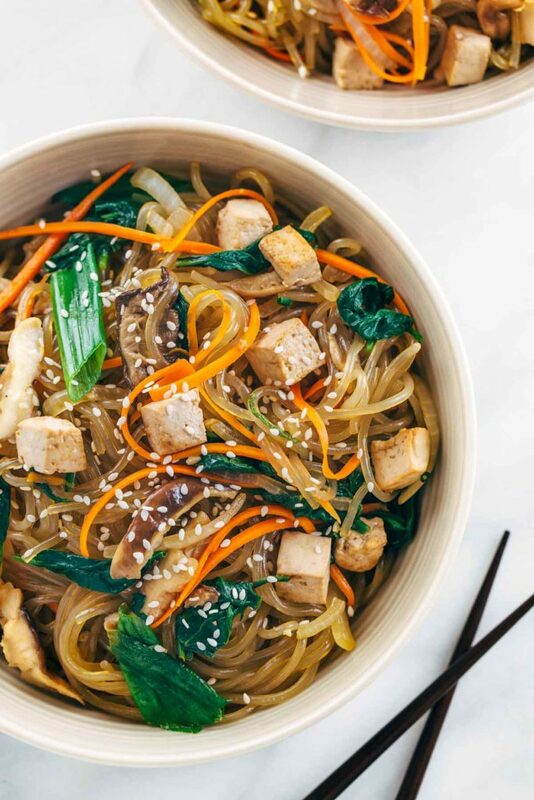 Enjoy them with this veggie-filled Korean japchae recipe. Chickpeas aren’t just for hummus anymore; the folks at Banza have created pasta out of them. These power noodles pack a protein and fiber double-punch and are low on the glycemic index. 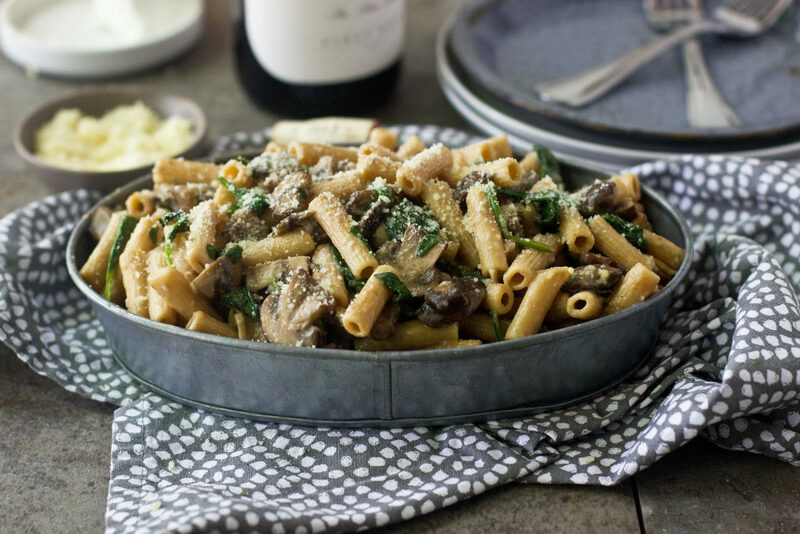 Here’s a tasty mushroom, goat cheese, and spinach pasta bake you can make with chickpea pasta.